Angle newsletter on the Grammy Awards, Antonin Scalia, and the Melissa Cook surrogacy case. Slate’s daily newsletter on the Grammys, Scalia’s legacy, and a complex legal battle over surrogacy. 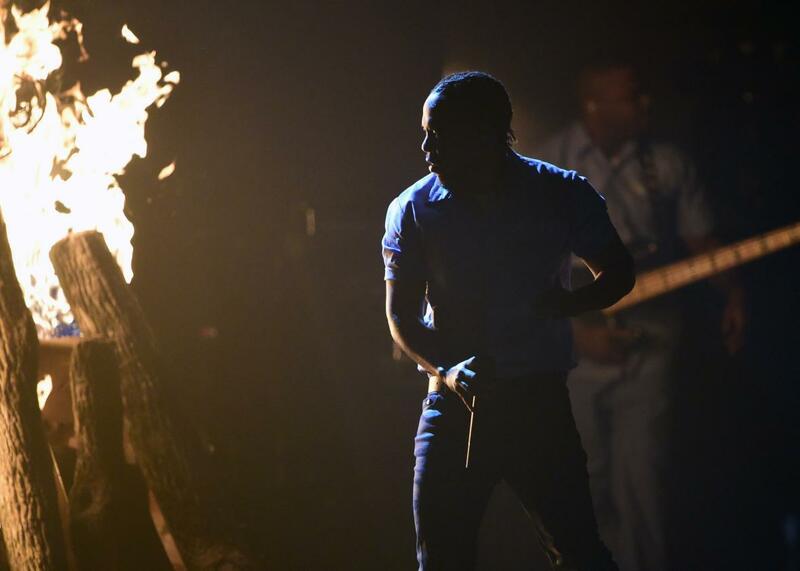 Lit by a huge bonfire, Kendrick Lamar performs onstage at the Grammy Awards, Feb. 15, 2016. Hello! Welcome back to the Newsletter Once Known as “Today in Slate.” In its new form, the Angle will share the most interesting ideas about the news each day, highlighting thought-provoking pieces from Slate as well as other fascinating stories from around the Web. Carl Wilson saw but one winner at last night’s Grammy Awards: hip-hop, writ large. Even though Taylor Swift took home Album of the Year, Wilson writes, “anyone watching this year’s ceremony knew that Kendrick Lamar, who had the most nominations of any artist, seized the bullhorn of cultural meaning, with a literally fiery, chain-breaking, and politically potent … performance.” The Best Musical award for Hamilton only reinforced Wilson’s argument for hip-hop’s omnipresent influence on the best musical work produced this past year. Eric Posner argues that Scalia’s famed focus on originalism masked an inevitable ideological bent. Scalia proclaimed that he wanted to see the court’s business conducted neutrally, without attention to politics, Posner writes; his presence had the exact opposite effect. [Scalia] considered himself a conservative but denied that he ruled conservatively. While the other justices ritualistically denied that politics should play a role in their decision-making, only he really meant it—or at least seemed to. His anguished complaints that other justices voted ideologically were met with puzzled silence. Of course, they voted ideologically; what else would they do? The stridency with which Scalia attacked them, especially in his later years, could only make one scratch one’s head. If he was the boy who revealed that the emperor wore no clothes, did he not know that he was also naked? For fun: Seth Stevenson investigates the delicate art of using stock footage in campaign ads. Sign up for any one of Slate’s newsletters here.